At first glance, the finance and production planning functions in a mid-sized business don’t seem to have a lot to do with each other. They are separated functionally and don’t often communicate with each other directly. Also, production planning reports to an operations director or supervisor while finance reports to a controller or CFO. Upon closer inspection, though, it becomes apparent that there is a direct link between these two functions. This is because uncoordinated production planning can result in the inefficient use of working capital, which is contrary to the finance department’s objective. Also, production planning naturally results in significant interaction with vendors. Since cost of goods is a company’s biggest expense, the lack of finance involvement in this area can result in significant cash flow burn. § Production planning may over-purchase items to insure they are never under-stocked. This can result in excessive use of cash that may not be warranted. § The company’s negotiating position with vendors can be weakened. Finance involvement in vendor relationships can help companies achieve optimum pricing and payment terms. § The risk of obsolescence is very high when sales forecasting, finance and production planning are not tightly integrated. The result will be unnecessary cash burn and product write-offs. § Opportunity costs can be great as sales are lost by not having the proper product mix in place. A CFO services partner can help you get your finance and production planning functions working together and in sync. This high-level financial professional will have experience working across organizational functions and can help ensure a mutually beneficial relationship between finance and production planning. 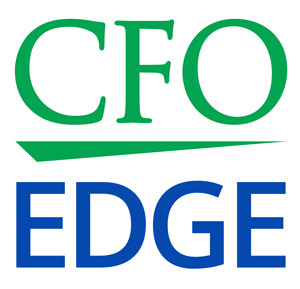 An on-demand CFO can look at your company’s broad strategic goals, thus putting you in a better position to balance your working capital requirements. He or she will also be in a good position to understand what your short-term operational objectives are. Price increases, product discontinuation and giveaways and the like can all affect the production planning process. Finally, a CFO partner will help ensure that the proper coordination between finance and production planning is in place. This almost always guarantees more efficient management of inventory levels. § Better utilization of working capital by insuring the optimum balance between cash and inventory. § Better utilization of capital in a manufacturing environment, since a more stable and consistent manufacturing pattern can increase capital utilization rates. § A better understanding of sales trends and their impact on product availability requirements, which helps ensure the optimum mix of products held in inventory. § The most favorable relationships with vendors, which may result in optimal pricing with favorable payment terms. At first glance, the finance and production planning functions don’t seem to have a lot to do with each other. But upon closer inspection it becomes apparent that there is a direct link between these two functions. A failure of finance and production planning to work together can lead to multiple negative impacts, including high opportunity costs as sales are lost by not having the proper product mix in place. A CFO services partner can help you better coordinate your finance and production planning functions.